Hi friends! My quest for a sock-free life continues. My favorite new daily shoe is the Allbirds Tree Toppers. I recently completed a short trip in Burnaby and Richmond, BC, where my family and I walked almost 18,000 steps and a distance of eight miles. In just one day! I only wore my Allbirds Tree Toppers, and at the end of the day, my feet weren’t odiferous (even though I knew they were sweaty), and they weren’t sore! I purchased a pair of Women’s Tree Lounger in Nikau Concrete (gray) in size W7 (Woman’s US 7, UK 4.5 / EUR 36/ CM 23.5). I’m a big fan of the Allbirds tree line, and have a strong feeling they may move on to solely focus on their tree lines in the future. You can see have they have four different types of tree shoes (Tree Toppers, Tree Runners, Tree Loungers, and Tree Skippers), but only two types of wool shoes (Wool Runners and Wool Loungers). 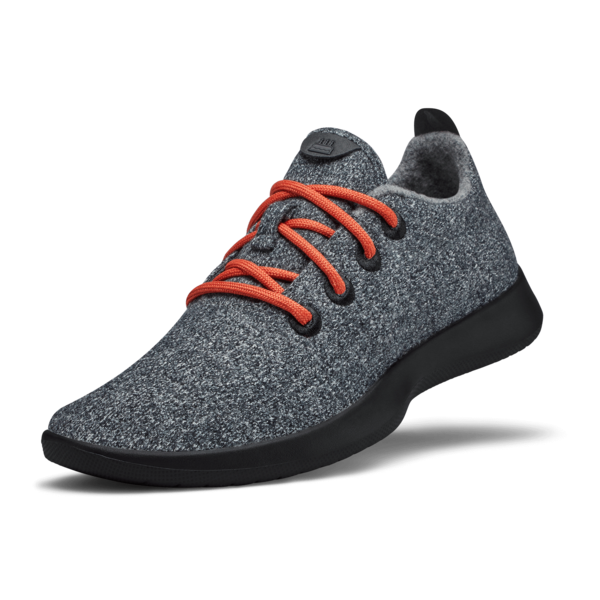 The Allbirds Tree Loungers came in a box that you can reuse, to send the shoes back for an exchange or return. The packaging for the Tree Loungers no longer consists of the signature Allbirds two-compartments box. All the boxes have writing in the interior (soy-based ink? ), taking away the need for additional printed manuals or paper. Win! Normally, I purchase all my Allbirds in W8 (Woman’s US 8), but I remember the Wool loungers feel a bit loose and long. So this time, I sized down. While my feet slipped into the Tree Loungers with ease, the tops of my toes felt constricted and smushed. Toe humps were everywhere! The front of the shoes felt too narrow. After less than an hour of wearing them, and walking in them, both my big toes were sore for the remainder of the day. I had to switch right back into my Tree Toppers. I did feel my Wool Loungers and Runners ran a bit big in W8, and overtime, these shoes will stretch out a bit as you break them in more. Smushed toes and toe humps! If you have bunions, they will show in these shoes. Size up. These are stretchy shoes, and very comfortable (for the plantar side of your feet at least, no so much for the dorsal side). I’m not sure how you will feel in them, if you have bunions. Try them before you buy them, if you can. The Allbirds Tree Lounger in Nikau Concrete is a minimally-branded shoe. It’s pretty with its muted dark gray color. It’s so simple, yet aesthetically appealing. I’m sure it’s a shoe that Marie Kondo would approve, LOL. Allbirds Tree Loungers are machine-washable (cold water gentle cycle and then air dry). Put the shoes in a laundry (delicates) bag first before chucking them into the washing machine. Their moisture wicking properties are great. They’re super comfortable for walking (when the fit and size are right). Sustainability and vegan materials (castor bean oil and tree plant fiber). They do still use wool, which is not vegan. While there’s no arch-support really, they are still comfortable for people with flat feet. You can’t machine-dry Allbirds Tree Loungers. Dreaded toe humps and smushed toes. Sizing continues to be an issue. They’re not the best shoes for wide feet and people with bunions. Price is still a bit high. -Do Allbirds get wet? Yes they do. Don’t jump onto a puddle of water. Some rain can wick or bead off the top, but if you’re not wearing socks, and the rain or water soaks through the top, you will feel it. -Can you wash Allbirds? Yes you can, in a machine. I would recommend putting them in a linen bag. Make sure to air-dry them afterward. -Are Allbirds Tree Toppers good for bunions? They are too narrow. They do stretch, but you will see the outline of your bunions. -Can you wear Allbirds without socks? I prefer to wear Allbirds without socks. Your feet do feet a tad moist from prolonged wear, but they won’t be too stinky. I recommend no socks with your Allbirds. -Are Allbirds warm? They are so airy, your feet will be a little cold in them, even though they’re wooly on the inside. On cold days, yes your feet will be cold, if you’re not wearing socks with the Allbirds Tree Lounger. -Can you run in Allbirds? Yes! I ran so fast in my Allbirds Tree toppers! -Are Allbirds good for walking? They certainly are! At this time, I may return my Allbirds Tree Loungers, at least for a size exchange. My toes hurt. I think if I didn’t already have a million pairs of Rothy’s, and my Allbirds Tree Toppers as my go-to everyday shoe, I would confidently keep my Allbirds Tree Loungers. I love just slipping into them, without having to wear socks. Once the Allbirds store in University Village (in Seattle) opens, I will go try on a pair of Allbirds Tree Loungers in size W8. If you need a go-to shoe for everyday wear, give the Allbirds Tree Loungers a try, especially as spring and summer approach. They aren’t waterproof, and your feet will feel cold in them, sans socks. But hey, not having to wear socks with shoes is one of the biggest draws to Allbirds. Also if you have funky smelly feet, these shoes are a godsend. I walked almost 18k steps one day in Allbirds Tree Toppers, and went straight to bed without taking a shower, and the bedsheets didn’t smell funky the next day. These are also easy to care for shoes, and the return/exchange policy is great. But if you want a pair of shoes to run in, I suggest the Tree Toppers or Runners instead of the Tree Loungers. Overall, I really don’t think you can go wrong with owning a pair of Allbirds Tree Whatever, unless you can’t stand the dreaded toe humps, or your toes get smushed and painful, or they don’t fit well. Friends, what do you think about the Allbirds Tree Loungers? Happy walking!